RAEFORD, N.C. (WTVD) -- More than 143 Soldiers of the North Carolina National Guard's 105th Engineer Battalion, based in Raeford, N.C., will return from Puerto Rico after providing Hurricane Maria recovery efforts for the last 40 days. The 105th will be welcomed home, at their headquarters in Raeford, by family, friends and fellow Guardsmen. Puerto Rico requested assistance from NC Guard through an Emergency Management Assistance Compact (EMAC) request with NC Emergency Management to aid in recovery. The 105th was the headquarters element in a multi-state engineer task force comprised of a total of 750 soldiers from the South Carolina, Louisiana and New York Army National Guards. 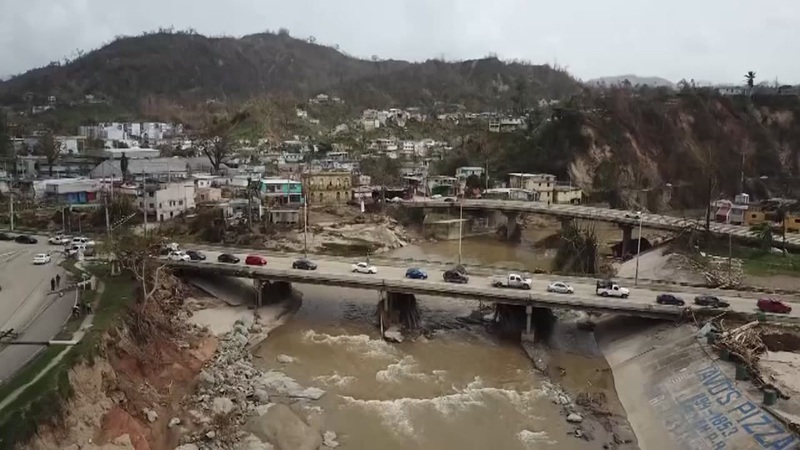 Due to widespread storm damage from wind and rain, much of the island's infrastructure was damaged, to include homes, businesses, government buildings, and the road networks. Task Force Rhino operated mostly in Southern Puerto Rico clearing debris from roads and making hasty road repairs to allow aid to reach areas cut off from the storm as well restoring infrastructure. While in Puerto Rico, the 105th conducted 28 engineer assessments of critical infrastructure, 52 route clearing and debris hauling missions, 13 large scale supply distribution operations and drove their trucks and equipment a total of 21,000 miles. They cleared/hauled over 7,000 tons of debris, and delivered 325 tons of food and water to local citizens. They're arrival is expected at the NC Guard Raeford Armonry located at 305 Teal Dr, Raeford on November 14 at 3 p.m.